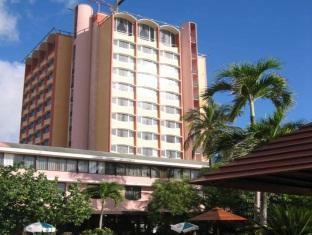 ﻿ Best Price on Plaza Curacao Hotel & Casino in Willemstad + Reviews! Have a question for Plaza Curacao Hotel & Casino? Designed for both business and leisure travel, Plaza Curacao Hotel & Casino is ideally situated in Pietermaai; one of the city's most popular locales. From here, guests can enjoy easy access to all that the lively city has to offer. With its convenient location, the hotel offers easy access to the city's must-see destinations. 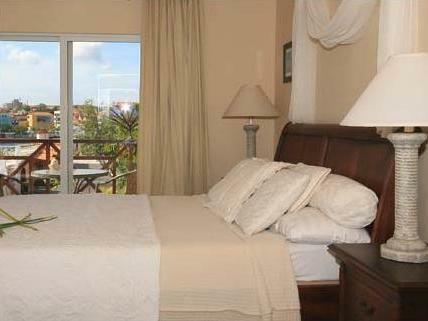 At Plaza Curacao Hotel & Casino, every effort is made to make guests feel comfortable. To do so, the hotel provides the best in services and amenities. While lodging at this wonderful property, guests can enjoy free Wi-Fi in all rooms, casino, facilities for disabled guests, Wi-Fi in public areas, car park. All guest accommodations feature thoughtful amenities to ensure an unparalleled sense of comfort. The hotel offers an excellent variety of recreational facilities, including fitness center, outdoor pool, pool (kids). 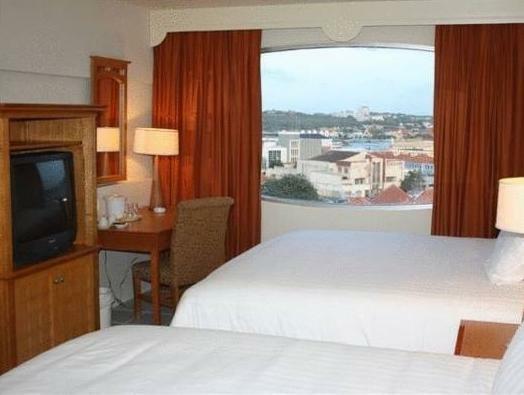 When you are looking for comfortable and convenient accommodations in Willemstad, make Plaza Curacao Hotel & Casino your home away from home. Very inefficient check-in - each person or groups was taking around twenty minutes, and I queued for over an hour before my turn. Three people were there but instead of working separately they all flitted in and out of the one check-in being attended to. Very lackadaisical. When my turn came they could not find the Agoda booking. I gave them a a credit card because I needed the room and I'm not sure to the present time whether I've now paid twice or not. The room and bed were clean but long overdue a refurbishment with lots of visible wear an tear and an old CRT TV for which the remote didn't work. Wifi is advertised but there wasn't any. The place needs a huge refurb and new management. This hotel has fallen into disrepair and unfortunately has staff who are not interested in customer service or even doing an adequate job. It's a convenient place to stay but avoid the frustration of very poor service by eating all meals elsewhere. The pool is nice. Great as it was my fith time. Your agency made it the best because they did noy try to nickle and dime me at check in and check out. My husband and I stayed at the Plaza Curacao for our honeymoon after our travel agent was unable to book the hotel we wanted. The location was fantastic but the room was terrible. We requested a King bed but was given two very small and uncomfortable doubles. The room was dirty (stained bedding, stained curtains, stained towels, bathroom tub not clean, etc) and the hallway ceiling was all torn apart and leaking. The view from the large windows was superb, looking over both the sea and the city. The staff at the front desk was friendly and helpful when we had questions. Good enough hotel for a night or two but definitely not a good honeymoon hotel. Your typical old hotel gone a bit stale. That said, we could see with our own eyes every day that there were carpenters, electricians and others working on improving a large number of rooms along our hallway, so things may be improving. What COULD be fixed immediately is the service level at the hotel. No one working there seems to know how to smile, and when you show up at the reception, the big woman sitting on the chair there had better not be alone, because she will not voluntarily get up and be of any use to you. The pool is fine and there are great views from several spots on top of the old brick wall that the hotel is built into. We staid here in 3 nights and the location was great. In the mittle of everything. Siffle bus for 3 dollar round trip to the Beach. 15 dollar for a great breakfast. The rooms are little old but it was ok. The staff around the pool area and the breakfast was really kindly but the staff in the reception could be better. Never smiled and it took to long time to get the roomkey. It is a good hotel to spend one night. The services wasn't the best. the hotel has a great location on the island. I was arranged in a sea view room, breath-taking view!!! when you are on the island, you have to be very pacient when check-in, and most of the other things, since it is a carribean life style, everything is very slow. the hotel is old, but not too bad, at least it is clean and covered with wifi. Room Size, Quiet environment, Super cheap rates if booked online. Multilingual service. Getting a standard room means u would get a room anywhere between the 3rd floor to 14th floor. The first night I got the 14th floor standard room...new, superb view, large room size and large tables....very spacious. A few nights later I was given a room on 3rd floor. View was ok, but room was about half the size of the 14th floor standard room, and seemed older. So, if possible ask to reserve rooms on the 13th or 14th floors if available. we had problems with towels and carpets, but overall it was a good stay, very well located hotel, lovely views, well located, and like in the future Do not take the breakfast room at the hotel because we did grocery shopping. Another item to be spoken, late check out was more expensive than the value of the daily, in our case, six hours more costing $. Nobody uses the pool and it's great. The hotel is in need of some care - like the pool chairs could be re-stretched so they would be more comfortable, but they pass. go to the pool and spend the morning. The bar is seldom open. Friday night they had great live music and happy hour. Wonderful views from the bar area which is on top of the old fort wall.